At some point in 2015 we unwittingly entered Hellworld. Now it feels like the planet is spinning off its axis, each glance over the headlines cranking up that churning feeling in your belly that we might be fucked. Sober scientists explain that we're way beyond the point of no return to ecological armageddon, politicians seem to be getting both dumber and uglier, and the large numbers seem happy to retreat into dosed solipsism. But not everyone. Apples and Snakes, a poetry and spoken word performance organisation, is culminating their 35-year celebrations with Rallying Cry, an ambitious piece of theatre that tries its damnedest to give audiences a kick up the arse. Set in Battersea Arts Centre (impressively rising from the ashes after the 2015 fire) the audience is divided into various groups of protesters (campaigners, slacktivists, lobbyists etc) and each group follows a marshall around the building, encountering performers in various rooms before gathering together for a big finale in the old council chamber. There's an impressive list of poets on the programme, but time constraints mean we'll only get to see a selection of them. First on the schedule was dub poet Roger Robinson, who delivered a righteously angry diatribe against the racist killing of a black child by a white gang, asking us to stand up and protest this. 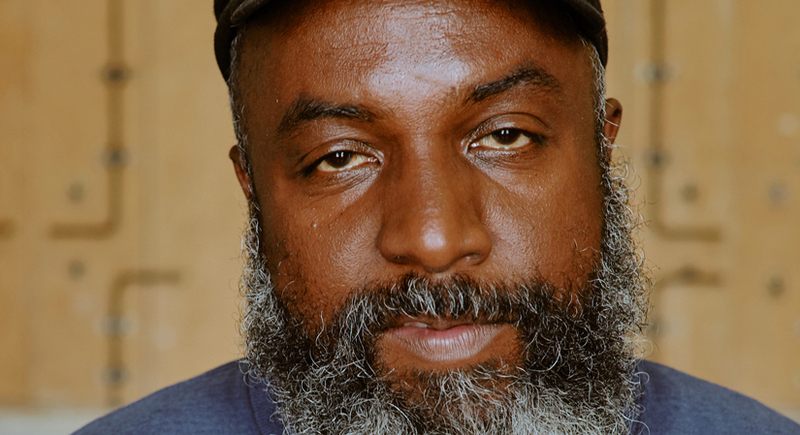 Robinson has a magnetic stage presence - and though his rage is tinged with sadness and fatigue, it's no less visceral for it. At one point this extends to the audience - an offhanded comment that should become a politicians draws laughs, only for him to indignantly ask why that is so funny. Towards the end of the performance, he begins to act out the murder, making his own percussive sound effects into a microphone as he mimes the beating - showing us the kicks that broke the boy's jaw and the thrusts of the knife that killed him. It's capped off by a desperately sad moment where he imagines the final thoughts of the victim as he feels his blood seep down onto the pavement. We don't have to imagine this for too long, as it's concluded by dripping red fluid onto a projector, creating a gradually spreading crimson Rorschach behind him. It was one hell of a performance - worth the price of a ticket alone. Oakley Flanagan's piece, delivered to his own illuminated reflection in a backstage dressing room, is an interesting rumination on identity and the various roles society demands he occupy. But while the piece is entertainingly and charismatically delivered it obfuscates meaning behind flights of literary fancy. There is real pathos and anger here, but it's dressed in so many fabulous layers of wordplay that you only catch glimpses of it. More effective is Peter deGraft-Johnson in the Council Chamber Dressing Room, who achieves a surprising amount with silence. Beginning with an exuberant performance as a DJ he pauses, removes his headphones and stands in silence. For long moments we just hear the hum of the air conditioning and experience the awkwardness of having nothing to say. He eventually explains that silence is a weapon and can be terrifying when deployed in the right way - a useful perspective in a night that shows how effective words can be. Antonia Jade King begins immediately afterwards with a lengthy bit of clowning around an over-extended microphone stand. This didn't do much for me, but the actual poem that came afterwards was brill. She speaks about participating in a Women's March and critiquing the casual way whiteness is considered 'normal' at it. It's a neat take-down of Instagram liberalism, with the best moment her indignantly asking why all the vaginas on the placards have to be pink. After a beautiful performance of The Internationale by Abdul Shyllon, Heidi Vogel, Marcina Arnold and Geniyo, we're moved into to the Council Chamber for the climax. This consists of a beautifully written, delivered and photographed video by Lemn Sissay - the highlight of which is him pointing out that everything around us originated in someone's imagination: the poetry, the music, the roads we travelled here on, the reconstructed Battersea Arts Centre - even the very words we use. The concept behind this was later described to me as a 'state of the nation' - and this continues in Zena Edwards performance delivered from an upstairs balcony. Looking a little like Eva Peron, she delivers an upbeat piece about the importance of small acts of kindness. This does get a bit inspirational-postery with its commandments to smile at strangers and ask old people how their day was... but what the hell, I'm in a good mood now and this goes down really easy. They're followed by a live band, Tree House Fire, but it's getting late and I have to cycle back to East London. Aside from the excellent poetry, I'm in awe of the clockwork precision of the night. Ferrying this many people around a building in synchronisation with each other to various performances (all of which must be precisely timed) is one hell of an ambitious undertaking. This experience, combined with the building being interesting in its own right, makes for a great framework: the performances as jewels beautifully set in a crown of competent and intelligent organising. My only criticism is that knowing there are twelve performers and only getting to see three of them on a single ticket (and for that matter, not being able to choose who you get to see) means that it's impossible to experience everything the night has to offer. That I deeply wanted to do this probably tells you all you need to know about how much I enjoyed it. Though the world might be fucked beyond saving, it's cheering to know there are pockets of warmth, creativity and talent like this nestled within it. 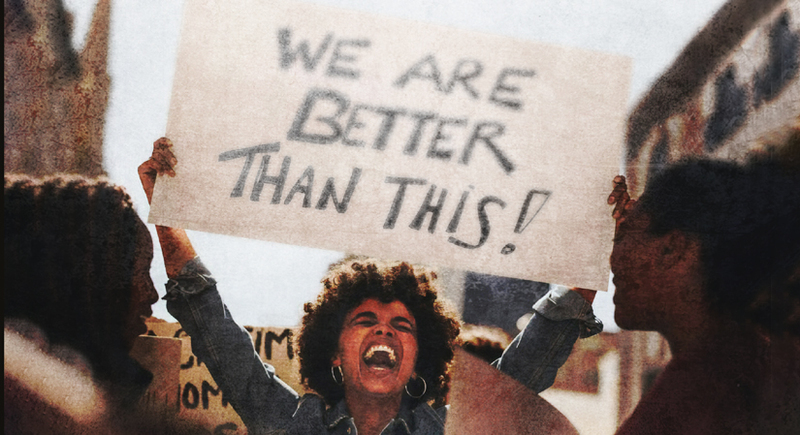 The poster shows a woman waving a sign reading "We Are Better Than This!". I don't know that humanity as a whole is better than how we're currently behaving, but after Rallying Cry, I feel like we can at least imagine a better tomorrow. And as Sissay explained, imagining is the first step to making it reality. 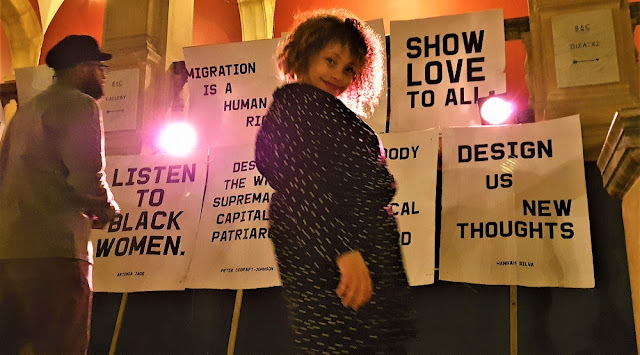 Rallying Cry is at the Battersea Arts Centre from 4-6 October, 19:00 and 20:30 shows. Tickets here.